• Air vents to increase ventilation of knee and shinbone. • Knee, tibia and femur protection in plastic and EVA padding. NEWSHOT ADULT PROTECTOR HINGED KNEE SHIN GUARDS. SHOT Knee pads, knee pads. standard EN 1621-1. CE certificate;. printed finishing;. perfectly fit under the pants;. internal structure made of hypoallergenic foam;. Knee, tibia and femur protection. New SHOT Hinged 3 Shell Knee & Shin Guards. Adult - One Size. Multiple vents for cooling. Shot Motocross / Motorcycle Upper body chest, arms and articulated back protector. Size Adult XL. With built in kidney belt. 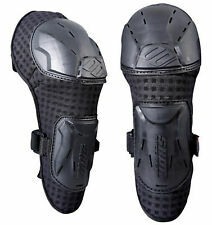 NEWSHOT ADULT OPTIMAL KNEE GUARDS (One Size) ELBOW GUARDS (Large). Elbow Guard Spec's. Knee Guard Spec's. • Lycra sleeve for an optimal fit. • Adult size Large. • One Size. • Colour: Black-Red. Adjustable shape race collar pattern. Key Features . NEWSHOT ADULT OPTIMAL KNEE GUARDS (One Size) ELBOW GUARDS (XL). Elbow Guard Spec's. Knee Guard Spec's. • Lycra sleeve for an optimal fit. • Adult size XL. • One Size. • Material: Foam, Leather, Lycra. Shot Motorbike Motorcycle Neck Guard Airtex material;. Injection moulded plastic;. Bike Accessories. Junior Section. SIZES: S-XXL;. Thermoform foam;. Shot Motorbike Motorcycle Neck Guard Airtex material;. Injection moulded plastic;. Bike Accessories. Junior Section. Thermoform foam;. 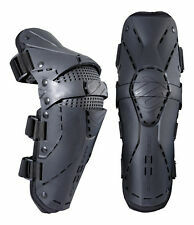 NEWSHOT ADULT OPTIMAL KNEE GUARDS (One Size) ELBOW GUARDS (XXL). Elbow Guard Spec's. Knee Guard Spec's. • Adult size XXL. • Lycra sleeve for an optimal fit. • One Size. • Material: Foam, Leather, Lycra. NEWSHOT ADULT OPTIMAL ELBOW GUARDS. • Lycra sleeve for an optimal fit. • Adult size XXL. • Colour: Black-Red. 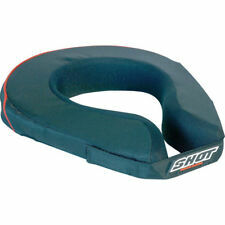 NEWSHOT ADULT OPTIMAL ELBOW GUARDS. • Lycra sleeve for an optimal fit. • Adult size X-Large. • Colour: Black-Red. SHOT cross Enduro breastplate unit size SHOT cross Enduro breastplate unit size. SHOT Cross Enduro breastplate black one size. SHOT cross Enduro breastplate unit size. Manufacturer shot. Manufacturer: shot. NEWSHOT ADULT OPTIMAL ELBOW GUARDS. • Lycra sleeve for an optimal fit. • Adult size Large. • Colour: Black-Red. Knee and Shin guards SHOT anatomic aluminium children Knee and Shin guards SHOT anatomic aluminium children. Knee and Shin guards SHOT anatomic aluminium children. Manufacturer shot. Manufacturer: shot. Knee and Shin guards SHOT motif adults Knee and Shin guards SHOT motif adults. Knee and Shin guards SHOT motif adults. Manufacturer shot. Manufacturer: shot. Marke Shot. Seats / seat covers16. Rainer and Martin Hahn. Knee and Shin guards SHOT anatomic aluminium adults Knee and Shin guards SHOT anatomic aluminium adults. Manufacturer shot. Manufacturer: shot. Marke Shot. Seats / seat covers16. MX aluminum parts41. Rainer and Martin Hahn. NEWSHOT ADULT PROTECTOR ELBOW GUARDS SIZE X-LARGE. • Dual injected shell to protect forearm and elbow. • Adult size X-Large. • Lycra sleeve for an optimal fit. NEWSHOT ADULT PROTECTOR ELBOW GUARDS SIZE XXL. • Dual injected shell to protect forearm and elbow. • Adult size XXL. • Lycra sleeve for an optimal fit. 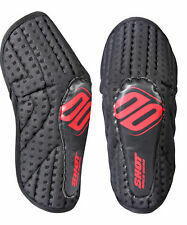 Shot knee protectors - ANATOMIC adult - black. Marke Shot. Consisting of 2 rigid plastic injection molding shells. Material: 80% acrylic, 15% nylon, 5% elastane. Supplied in pairs. Two velcro closure systems. NEWSHOT ADULT PROTECTOR ELBOW GUARDS SIZE LARGE. • Dual injected shell to protect forearm and elbow. • Adult size Large. • Lycra sleeve for an optimal fit.